Every year, from Thanksgiving through the New Year, families gather for large dinners and family activities. This often means that people with no toys available to entertain young guests are confronted with keeping children happy and busy. Often it is the grandparents who host the gathering, but it could be any member of the family. While having the grandchildren over can be a delight, they must be entertained. In some cases this must be solely indoors, but in others it might be outdoors as well. Introduction image: Allowed by the Amazon affiliate program. 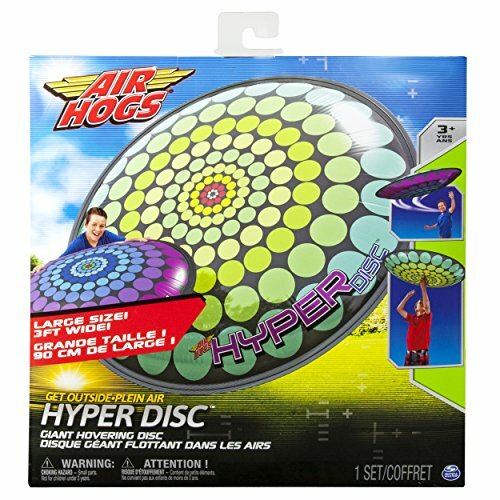 The hover disc and hyper disc (another brand) is an outdoor toy. 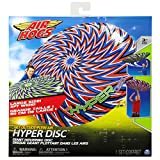 It is a rather large, about three feet across, inflatable toy that acts like a super Frisbee. It can do the things a Frisbee can do, but is versatile enough to do so much more. It can be bounced from the ground to great heights, it can be floated through the air, and most important, it can provide hours of fun. The hover disc is an inexpensive toy, and can be found for well below twenty dollars. 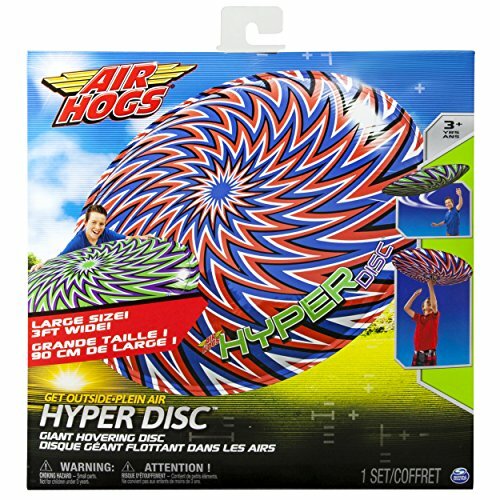 Some hyper discs price below ten dollars. If you are looking for economy you should avoid the licensed images that some have. Those popular characters may be nice, but they add to the cost. If this is to be used for just a few days you might opt for the lower priced ones. Since inflatables are subject to damage when striking pointed objects like fences and branches, and can be lost high in trees, having a spare or two is not a bad idea. It also gives multiple children a chance to all be included, even if one child takes one hover disc over. Of course helium can make it lighter, and make it float better. But, I suggest you start with air, which should be good enough for hours of fun. Inflatable music instruments can be found one at a time, or in packs of several with different colors. In packs of a dozen the cost can be about one dollar or so for each piece. 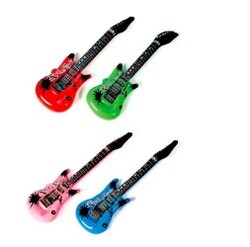 The instruments available include guitars, rock star guitars, saxophones, and more. 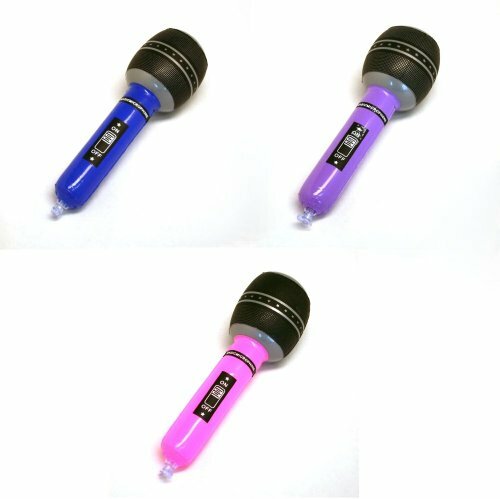 In fact inflatable microphones are also available. 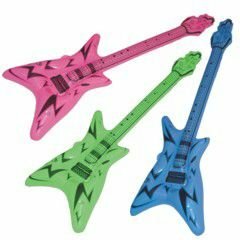 Why not allow the children to have a pretend band, and if the noise is too great move them to a part of the house that is not being used by the adults? That way the adults can have a nice visit, and the children can be kept busy. Related items like hats and fake glasses are also available. These items are inexpensive, especially when bought a dozen or so at a time. They are intended as party favors, and are some of the nicer party favors available. 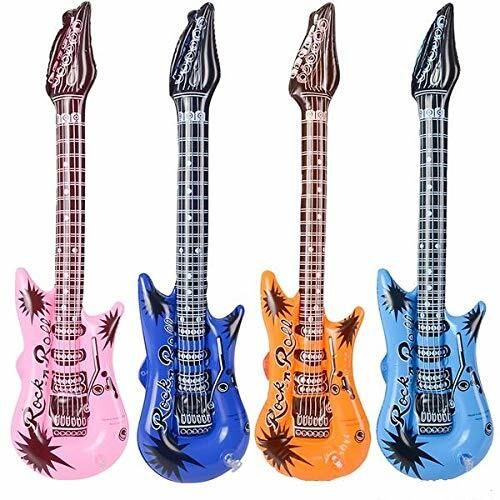 In fact, if the children are gathering for a birthday party, allow each child to take one of these when they leave and you will have provided a proper party favor to each one. 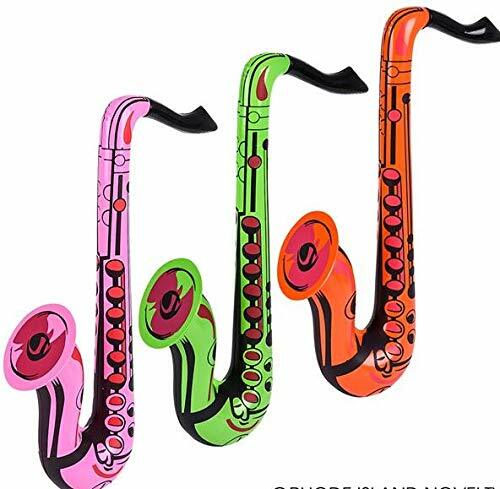 Another use for colorful musical instruments is that they make great decorations. 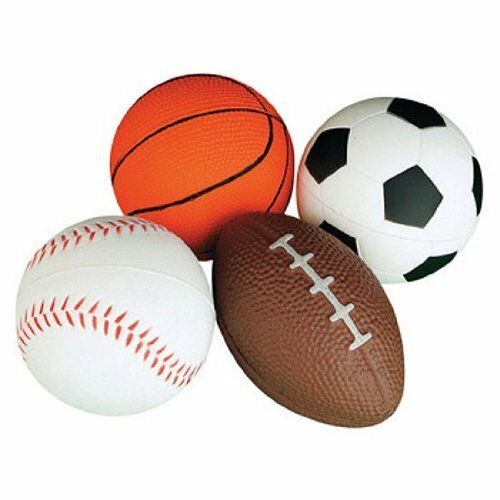 Miniature footballs, soccer balls, and basketballs can add enjoyment. These should be soft enough to not cause damage outdoors, and may be safe if there is nothing to be knocked over indoors. Just get a pack of mixed balls, inflate them, and see what happens. These are also in the party favor section, so they can also serve as favors for a birthday party. 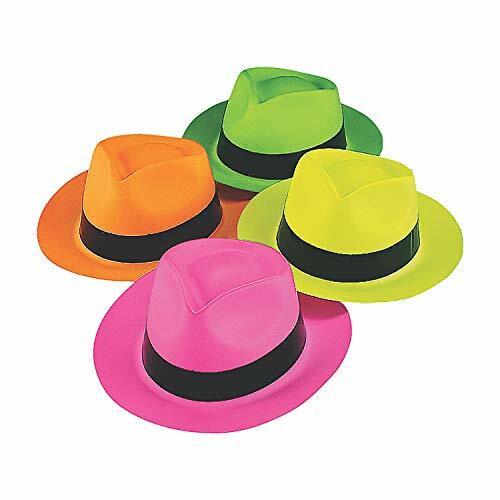 I found these when I was writing on party favors for Zujava, and what is great is the price. Some of these can be bought a dozen at a time for very much less than ten dollars. And the band instruments are not little, they can run over forty inches. Wow - I want a hover disc, too! I really do like the idea of little band instruments, along with hats and sunglasses to go with them. Seems like kiddos would have a great time with those! They do indeed look like fun. I want a hover disc for me. It looks like such great fun. When I get writer's block, I think playing with it in the backyard might help. People are always searching for kid's Halloween party ideas that are new and add suspense. With some twist, you can play the same old games in new light.